I have a thing for hidden nooks, secret pockets and hidey holes. I’m really good at tucking things away safely… I hid my most expensive necklace convinced whilst away if thieves were to break in, that’s what they would take (never mind the television or computer duh). Anyway its so well hidden i have never found it since. The boiler cupboard was just a boring cupboard and crying out to be turned into a bookcase with a secret. I cannot claim this one for myself. Watching a youtube video it looked eminently possible, just cut the centre of the door out, knock some mdf together and hey presto. 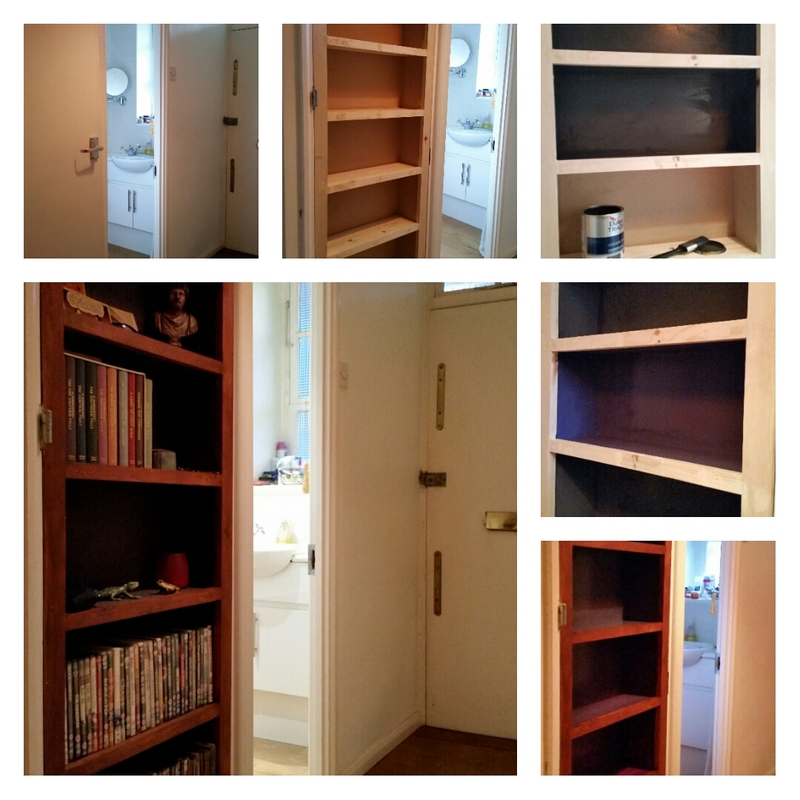 When it came down to it I decided to replace the door entirely with a custom made bookcase. Then I got lazy and paid a carpenter to do it, who definitely delivered a superior finish to anything I could produce. I liked it unpainted but up close the mdf against the pine and nails needed disguising. A touch of stain, some paint all done. Happy.